There are many places where spirits linger. 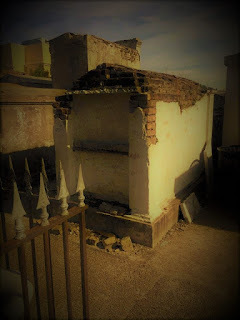 Louisiana, with it's rich history is truly a hot spot for ghostly tales. 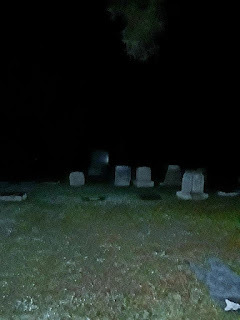 The cemeteries of this state date back as far as the 1700's and many feel like there are stories there just waiting to be told. This page will be dedicated to those stories and others. If the body truly is just a vessel for the spirit, then somewhere the conscious soul of a four month old infant is spending eternity knowing that this is it's grave marker. 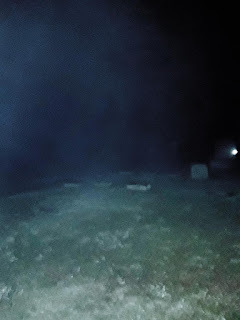 Now, it's possible that the family name was Monster and this child died unnamed, but still, the sight of this stone sends a chill down one's spine and no one who visits can help but take a second look. 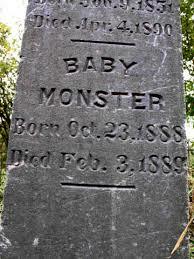 I can only hope that "Baby Monster" is resting peacefully somewhere. The alternative is just too terrible to consider. 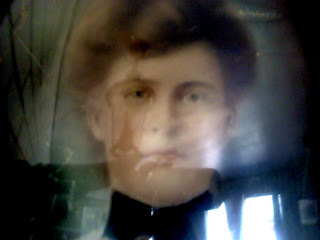 I first met the spirit of my great grandmother when I was seven years old. I didn’t know it was her at the time. That information came to me much later. What I did know was that someone was visiting me and that I was the only one who could see her. It was around midnight on a warm summer night when I awoke from my sleep. I’m still not sure why I woke up but when I did, I discovered a tall, red haired woman standing in my bedroom doorway. She was looking in on me. My bedroom window was open and the light from the full moon shone on her and through her. Gazing at her left me with a sense of security and I had no fear of this stranger. Everything about her was calming and felt like the love of a mother. My mother had left two years earlier when I was just five and that feeling was now almost lost to me. I barely remembered this first encounter until it happened again the very next night. This time, I was more alert and sat up in bed and rubbed my eyes. I looked back at her and watched as she seemed to fade from view. It was a gradual transformation and the outline of her remained in the doorway for what felt like an eternity. I crept from my bed and stood in the space that she had just occupied. I waved my hand through the air, just to be sure that she hadn’t rendered herself invisible. I peeked out into the hall. It was dark and empty. Whatever she was, she was now gone. At breakfast, I told my older brother and sister about these encounters. They laughed it off and told me I was just dreaming but I knew that I was awake. I knew in fact that she had somehow caused me to awaken. It was as though she wanted me to see her and know that she was watching over me. I can’t say if the frequency of her visits declined or if she simply woke me less frequently, but I felt her presence on many nights through my childhood. When I was thirteen, we moved several hours from my childhood home and I feared that we would be leaving her behind. By this age, I was convinced that she was a ghost and that our house was haunted. Turns out, she too moved in to my new house. This was something I couldn’t understand. 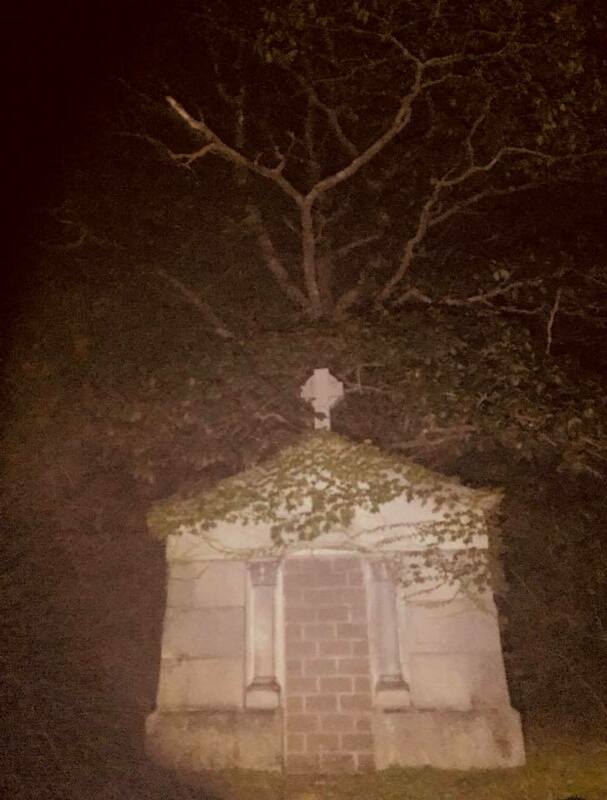 My brother told me that this was proof that she was a figment of my imagination because ghosts don’t leave the places that they haunt. As disappointing as this was for me, I believed him. I had all but forgotten her in my high school years until a catastrophic life event brought her back to me. My father came to see me at work to tell me that our house had caught fire. We lived in a rural area and by the time the fire department arrived, much of the second floor had been destroyed. The first floor suffered severe smoke and water damage and we were dislocated to a small trailer on our property until the rebuilding process was complete. Anything that was salvaged from our home was placed in a storage unit in town and we lived like campers until our home was safe again. I didn’t get a decent nights’ sleep for weeks. I tossed and turned every night, waking several times and pacing the floors. I was exhausted all day and couldn’t wait to hop in to bed only to wake every few hours feeling anxious and scared. My father told me that I was just not used to sleeping in such close quarters. He blamed my insomnia on the unfamiliar bed, the stress of losing so many personal items, and the pressure of mid-term exams. He made me tea or warm milk before bed. He told me to read until my brain was tired. He offered every piece of advice that he could muster, but nothing helped. Then, one weekend, we went to the storage until to locate some paperwork that was stored in a fireproof box in the house. I hadn’t been to the unit since we packed it with our belongings. As I entered the metal building, a warm feeling rushed over me. I was calm and experienced a sense of relief. I looked to my left and beside me was the antique photo of my great grandmother that hung above the fireplace in both of my childhood homes. I quickly unwrapped it from the blanket that was being used to protect it. I kneeled before it and gazed at her. It was in that moment that I realized that she was the one who was visiting me at night. My father located his lock box and was ready to leave. I grabbed that portrait and carried it to the truck with me. I was bringing her back home. I drove a nail in to the trailer wall above my bed and hung the portrait there. I didn’t have a single bout of insomnia after. When we moved back in to our house, the portrait was returned to its station above the fireplace and things were normal again. My aunt came to visit during my freshman year of college. She commented on the portrait, telling me that she had always wanted it. She told me that my great grandmother was very proud to have had the photograph taken and mounted. This was a very expensive undertaking in her day and was a luxury reserved for the wealthy. She and my great grandfather were far from wealthy but he wanted to preserve her image for future generations and so he saved his money until he could afford to have the portrait done. In that time, the black and white photographs were applied to a canvas backing and then hand colored by artists. Often, they required restoration or recoloring but this one was very well preserved. She went so far as to ask my father to give it to her but he flatly refused and told her about my claims that the woman in the portrait was watching over me and keeping me safe. To my surprise, she believed me! She told me that my great grandmother was by nature, a caretaker. 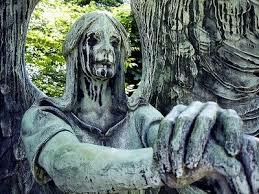 She was a strong woman who had suffered many hardships in life, including the young deaths of several of her children. Her sister had also died during childbirth and she took on the role of caretaker to the infant and the families other two children. She told me that when she was young and the portrait hung in my grandmother’s house, she too had seen this woman. It happened when my father suffered a burst appendix and nearly died of sepsis at the age of ten. She said that she could see this woman standing outside his bedroom while he slept. She told my grandmother but was told to hush her nonsense. With my father’s health weighing so heavily on her mother, my aunt elected to keep any further visions to herself. I asked my aunt if she could tell me any other details about my great grandmother and she told me simply, that her life was hard and that she devoted it to caring for children, even those that weren’t her own. Her husband died first, in the early 1900’s. She fell ill soon after and withered to a mere eighty pounds before succumbing to illness and passing on. 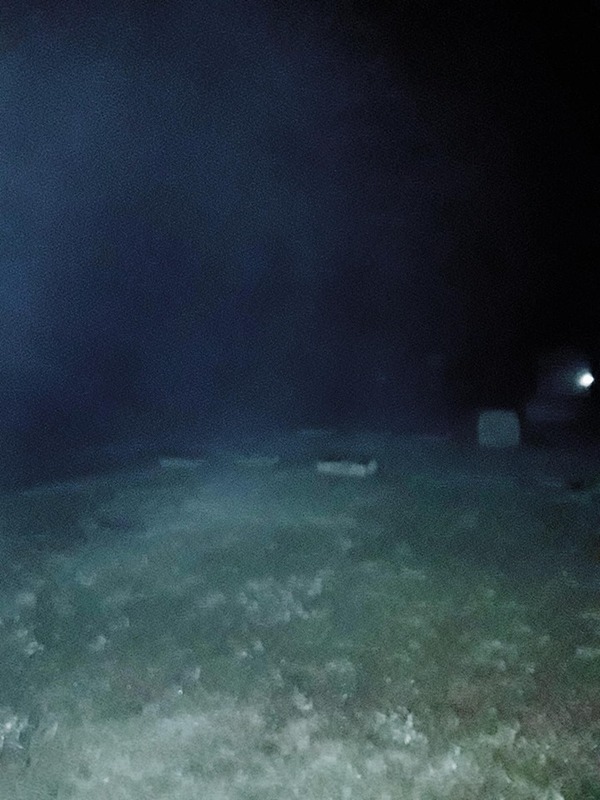 I told her that I had heard of spirits remaining in their homes after they’ve died but I’d never heard of a spirit remaining in a picture. She said that she wasn’t at all surprised. This portrait was a treasure to my great grandmother. It was her prized possession and most likely portrayed her in the way she would want to be immortalized and remembered. When I married and moved from my family home, I took the portrait with me. As I’ve moved across the country and back, my great grandmother has traveled with me. Her portrait has hung proudly in every place that I have called home for the past twenty-five years. Each of my three daughters have seen my great grandmother in our homes throughout the years and as I have grown older, they have even mistaken her for me and called out to her as she was spotted walking down the hallway outside their bedroom doors. 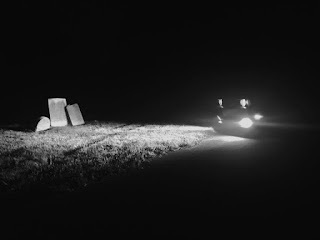 Though they don’t seem to be as connected to her as I have since my childhood, they have never been frightened by her or felt that her presence in our home was in anyway dark or threatening. I wonder if she’ll move on one day. Perhaps when there are no longer any children to look after. Until then, she is welcome in my home and should that day come, I will miss her dearly. As some of you know, I am originally from the northern part of New Jersey on the tri-state, (New York, New Jersey, Pennsylvania) border. This area has a rich history. 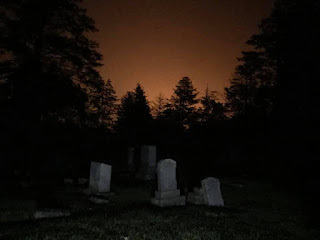 It's hard to visit a local cemetery without stumbling upon the tombstones of civil war soldiers and US Armed Forces were still battling Native Americans on the banks of the Delaware in the early 1920's. 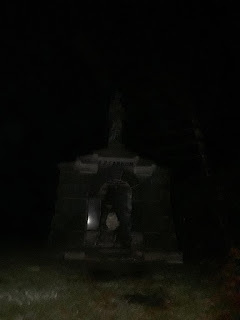 Located at 247 East Main Street in Port Jervis, New York, the Laurel Grove Cemetery has a long history and a haunting reputation. 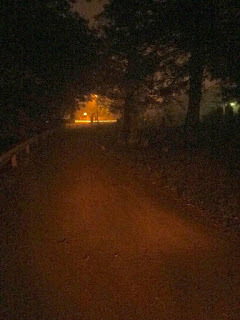 The site was designed in 1855 and has a park like feel with rolling hills, beautiful native flora, the babbling call of the river, and, oh yes, ghosts. It is considered one of the fifteen most haunted cemeteries in America and last week, my children and I had the opportunity to join a friend on a paranormal investigation there. We met my life-long friend at midnight and discussed the parts of the cemetery that we would investigate. We were briefly joined by local police officer and "ghost detective" Michael Worden, who has written a book on the location. Michael said that sometimes you capture the best evidence when you aren't paying attention and suggested that we talk and walk with our recorder on. 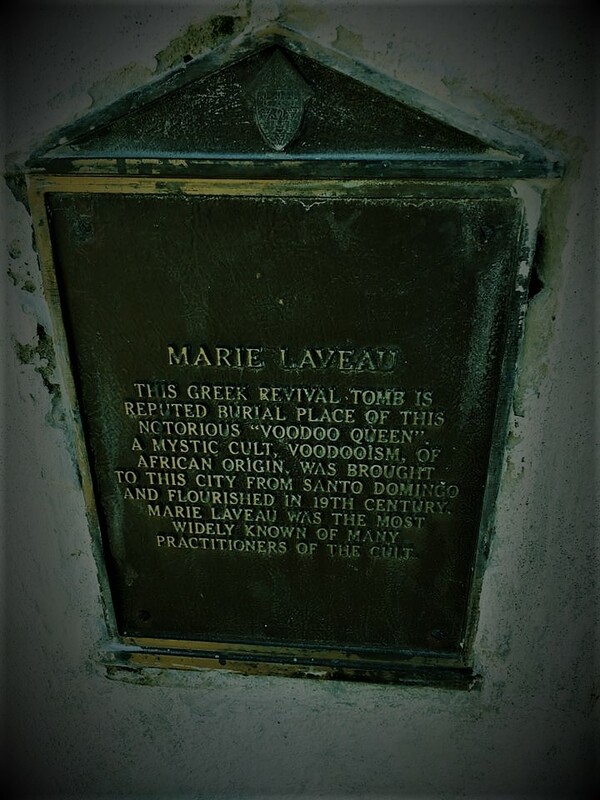 While we weren't lucky enough to encounter the infamous "Lady in White" that is said to roam among the monuments, we did have a few odd things occur during our visit. At one point on our quest, my daughter, Ashley was overcome by the smell of flowers or perfume. This is especially amazing because she had a terrible sense of smell. When we all stepped back to her location, we could smell it, too. It was unmistakably lavender but there is no lavender growing in this area. We proceeded to smell all of the trees and bushes and were unable to find the source of the scent. 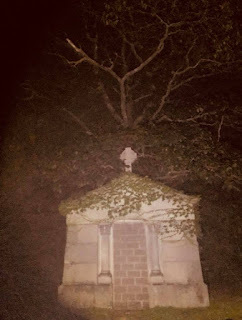 This lavender smell seemed to follow us up the carriage road appearing and disappearing every so often until we arrived at the famous Farnum Mausoleum. I have often been likened to a psychophant, fearless and lacking a fight instinct, but I did not leave the confines of the gravel road during this stop. I experienced a heaviness in my chest and an overall uneasy feeling. My daughter, Ashley, was taking pictures over her left shoulder where she was also feeling pressure. We spent over three hours st the location and heard, saw, and felt some strange things for sure. My friend is still combing through the audio from the session but in past visits, she has collected two world class EVP's. One, is a male voice saying, "no". The other is a female voice clearly saying, "Cold, very cold." shortly after the question, "What is it like where you are?" was asked.